Looking for a standout bag? 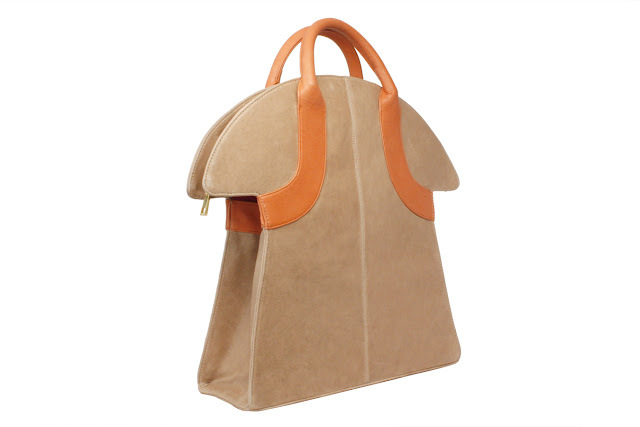 Well look no further then handbag designer Dareen Hakim. Dareen was born in Beirut but her work is influenced by the Lebanese life, which surrounded her growing up. From the looks of her architectural sculpted bags you would have never guessed that she has her MBA from Harvard Business School and worked on Wall Street. A handbag designer who is not only fashion savvy but business savvy as well, what more could you ask for? She started in the fashion business by managing L'Oreal Paris and Maybelline New York, which then lead her to design her own line of handbags. Her handbags are a piece of art more then they are your average bag. Dareen's bags are powerful and stand out on their own, which means they are not for the faint at heart but are for fierce women looking for fierce designs. Unique forms and shapes rule her Spring 2012 collection. My favorite is the V-Clutch in Flame. 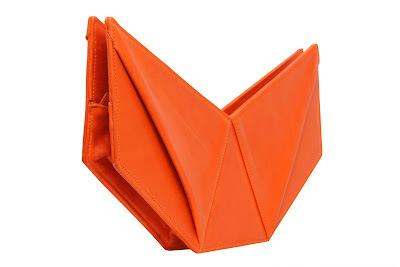 Not only does the color call for your attention but so does the shape of the clutch. More like a boomerang then a clutch, but perfect for a night out on the town. 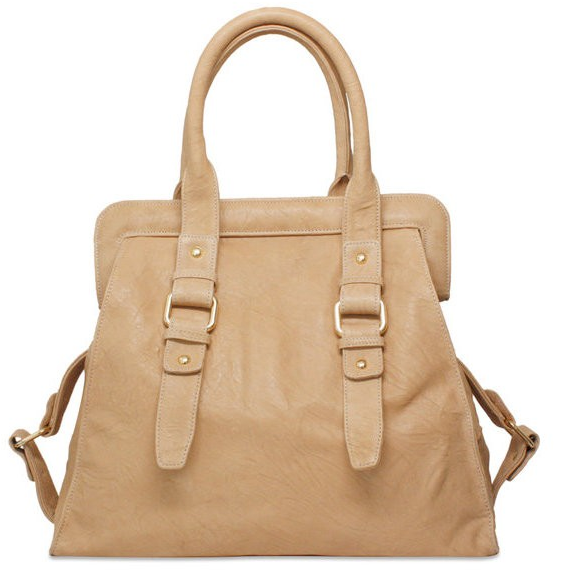 If you're a more subtle person and looking for a design that is more subtle then the Poise bag is for you. 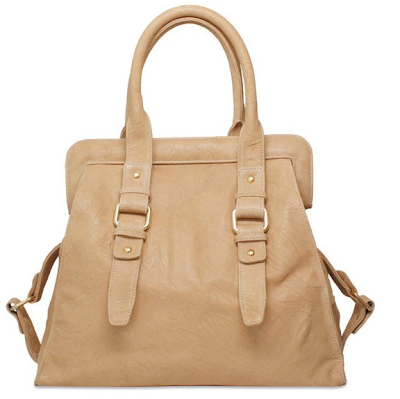 This satchel is elegant and lady like (hence the name Poise) and comes in a variety of colors that keep the bag sleek. To be honest I love all the colors but I must say the Jade and Truffle are my favorite. The Jade color gives it the WOW factor (plus its almost a minty green which is my fav. ), while the Truffle color can easily be used for everyday. Neutral colors always tend to work well with every outfit. Once again staying with the subtle powerful designs that can work for your everyday life The Casanova and the Starstruck bag also come to mind. The Starstruck bag is the perfect bag for going out. It's big enough to carry your essentials and small enough to not get in the way. 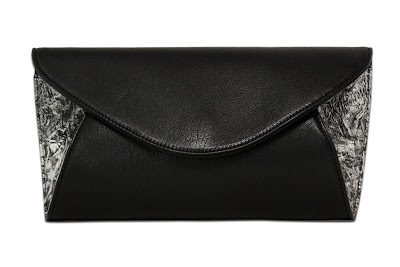 The metallic sides and structure of the bag gives it a twist on the classic clutch bag. Mean while The Casanova has an unlikely structure with a sleek defined style. 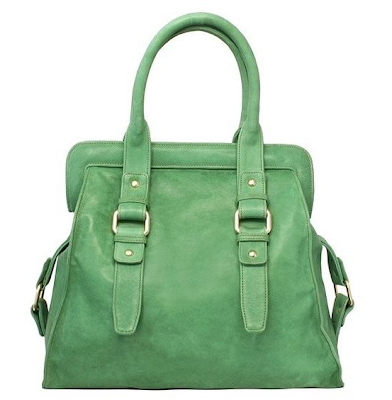 This bag has just enough pop of color and a structured handle to keep the bag looking simple and not over done. Not only is my favorite part the extended wing look but that it also has a cross body strap-- it gives it an easy transition from day to play. Plus easy to tote around your essentials and everything else one might need-- laptop, camera, etc. This bag really has it all -- style, comfort, and a home for all your things you carry. Dareen Hakim's bags do come at a high price, her bags range from $138 to $745. If you're looking to invest in a bag Dareen's the way to go. 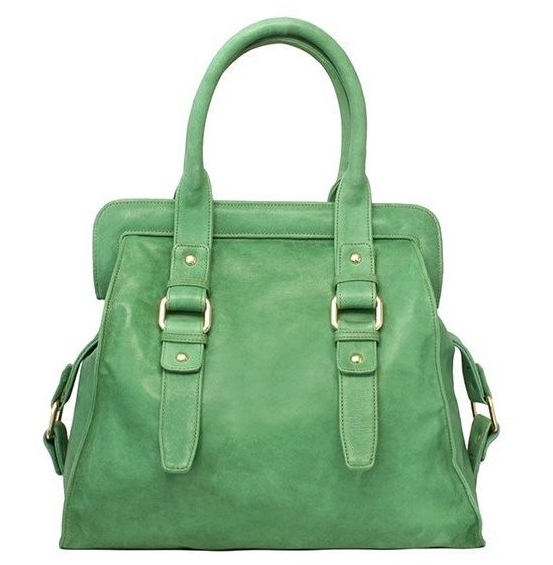 You can't go wrong with a good structured, designed, well made handbag that you will wear over and over again. Putting the money up is the hardest part but you won't be disappointed in the end. those bags are gorggeous! Love how structured they are!